Do you think that you can be doing more with your event marketing efforts when it comes to undergraduate recruitment? You’re not alone. Often, those events can stand alone and produce the desired results for both recruiters and students. In other cases, event marketing, coupled with digital marketing, should be considered to maximize the results of your recruitment efforts. Getting the most out of recruitment efforts and budget is important, especially if resources are tight. Taking a holistic approach begins by stepping back and taking an in-depth look at the entire undergraduate recruitment process. This includes taking a hard look at all of your online and on campus marketing tactics. Digital marketing can be far more effective when it is integrated with your other brand and recruitment marketing tactics. And using paid digital to complement your open house, college fair, and other events is a cost-effective way to boost attendance, grow your applicant pool, and achieve your enrollment goals. While college fair events have proven themselves to be an effective undergraduate recruitment tactic, these events can be easily amplified with digital tactics. The key is to closely coordinate your on-the-ground events with digital marketing planning and scheduling. Before the event, you’ll want to ramp up your online marketing efforts to generate awareness, and increase attendance. 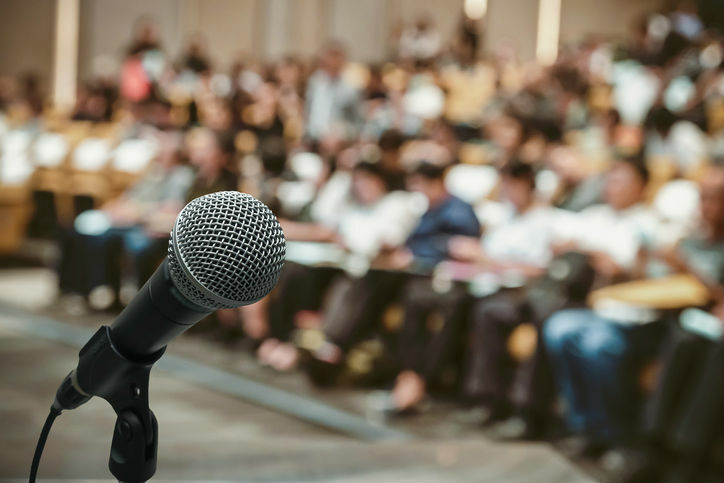 Once the event has concluded, digital becomes a way to stay top-of-mind for those potential students who attended, especially those who are on the fence. Geo-data insights from Google Analytics and your CRM database can play a big part in the strategic geo-targeting of potentially productive regions aligned with the location of your fairs. On campus visits are also particularly important in the undergraduate recruitment space. You want a prospective student to picture his-or-herself spending four years on the campus to earn their bachelor’s degree. Generating campus visits from prospects is one of the most effective recruitment techniques in higher education. However, the challenge is to invite and get a significant number of attendees to come for a campus visit, scheduled tour, open house, or other on-campus events. Digital marketing including paid tactics such as Google search ads, targeted display ads, and remarketing to your website visitors, has become a primary channel for generating these types of on-campus visits across the United states. Is your college or university working with overseas recruitment partners? Overall strategies and approach can differ when it comes to international recruitment, but regardless of philosophy, we recommend digital marketing campaigns to support these international efforts. Improving results can also help to strengthen your relationships with your international partners; partners you rely on to provide a steady pipeline of international leads. As an added bonus, your school’s digital marketing will reinforce brand messaging, build awareness, and strengthen your partners efforts to recruit students in the future. Once you have expanded your pool of potential students through your combined digital and event marketing efforts, it is important to maintain your connections with these individuals. Applicants and other leads should continue to receive reinforcing messages on why choosing your school is the right decision for them. Now that you have established a relationship, you can convey the benefits of attending your institution including your school’s points of differences in location, programs, internship programs, etc. Along with lead-nurturing efforts, such as email follow-ups to remind prospects of application deadlines, digital marketing can also reinforce those messages, reach a higher percentage of your prospects, and give those prospects more than one brand touchpoint. Getting your message out in a variety of ways could include: a social media custom audience campaign that targets the prospect list that is receiving email nurturing; or putting application deadlines, at appropriate times, into remarketing campaigns that reach not only leads generated from the website but other website visitors who may be interested but didn’t leave contact information. Remember, when it comes to any marketing strategy, no one channel gets a 100% response rate. It’s essential to use more than one medium to communicate with prospects to be effective. And taking a multi-channel approach to your event marketing can help your school get more people to your recruitment events and help meet your enrollment goals.